During the holy week break in Manila, more and more families tend to just stay in the metro rather than go out and realize the pain and suffering they must endure with the traffic and the amount of people they have to contend with. Of course, it's always nice to return to the province and meet up with family and friends but there's something relaxing about staying in. 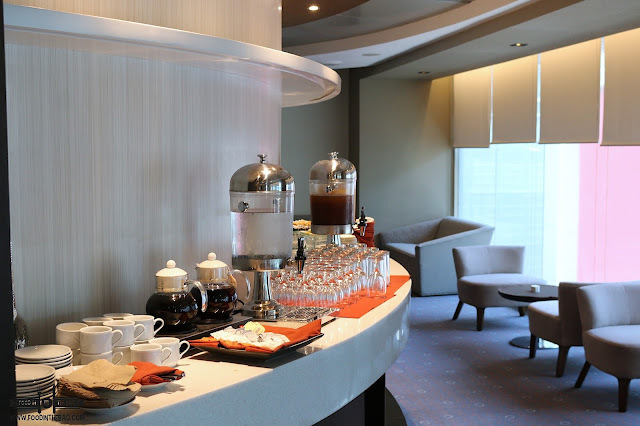 F1 HOTEL MANILA ensures that your stay is a notch above the rest. All day long you could stay in your room and just dwell in the comfort of the bed while watching cable tv or listening to some sounds. Furthermore, they have some fun activities in store for the little ones. Checking in was a breeze. More so if you have access to the Premier Lounge. Here, all day snacks, coffee and tea are prepared to make your life happier. The gym is waiting for those fitness buffs. 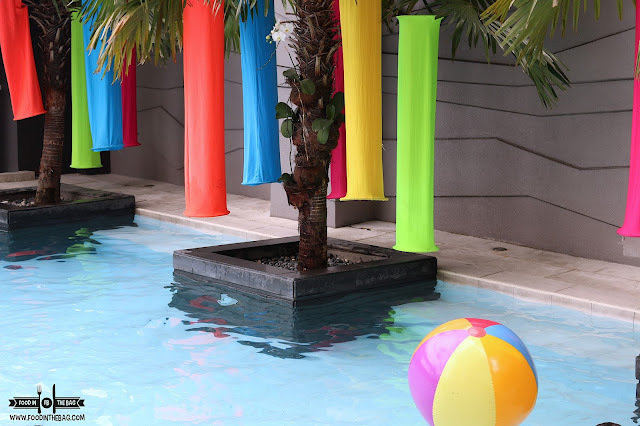 They also have 3 pools to cater to your needs. From kids, to young adults and a lap pool that could have you going back and forth. 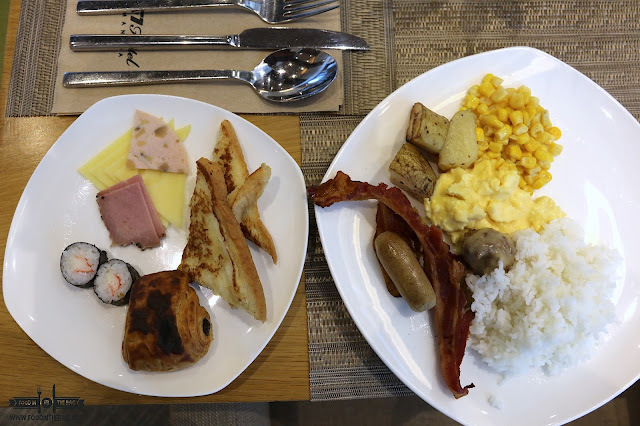 Food is not a problem with F1 Hotel Manila. 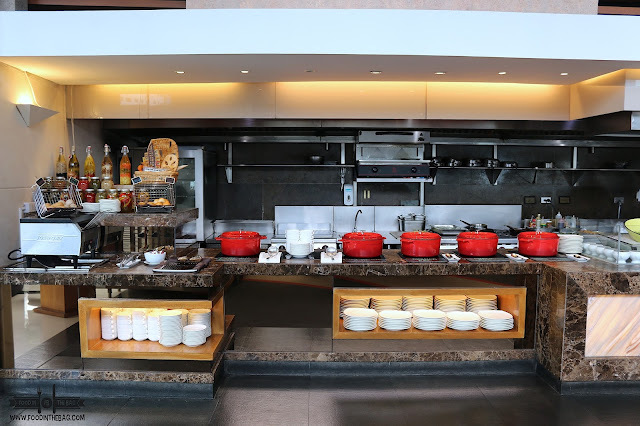 They have an all day outlet that serves dishes created and executed by Chef Decker Gokioco. For the lenten season, they saw it fit to focus on seafood although they did offer an amazing rendition of CHICKEN KUSHIKATSU. 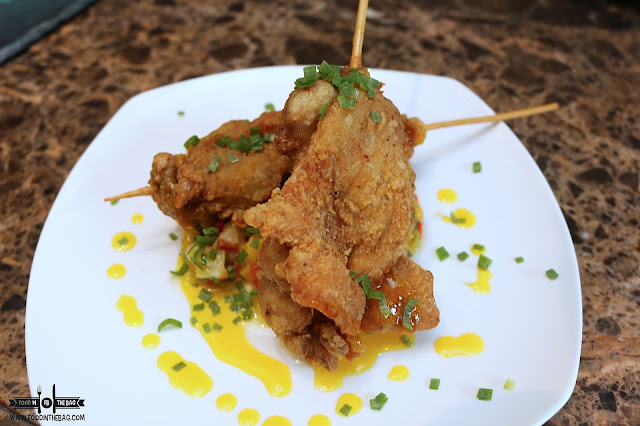 Deep fried and boneless, this chicken was served with a mango salsa making the flavors pop. Each bite would yield something delicious. Perfect to go with rice. 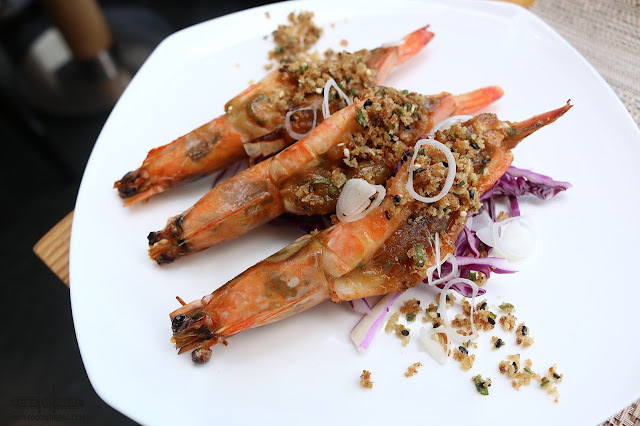 Seafood lovers could go for the burnt coconut mahi-mahi or the tiger prawns with panko sesame crust. 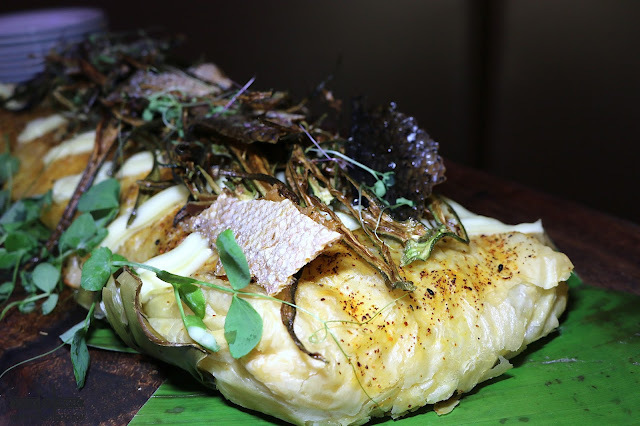 The mahi mahi is covered with herbs and spices to make it compliment with the coconut. The shrimps reminded me of an inside out tempura. The breading is in between the meat making it burst with each bite. Dinner also focused more on seafood dishes. 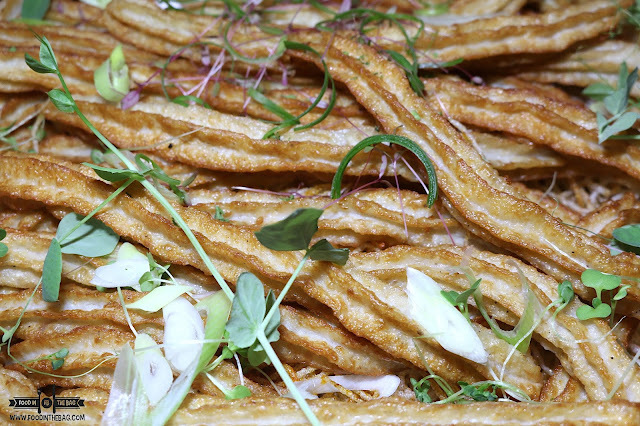 There was a mixture of fish and squid to make a churros of sort. Properly deep fried and burnt to a degree, it could give off an addicting bar chow vibe. 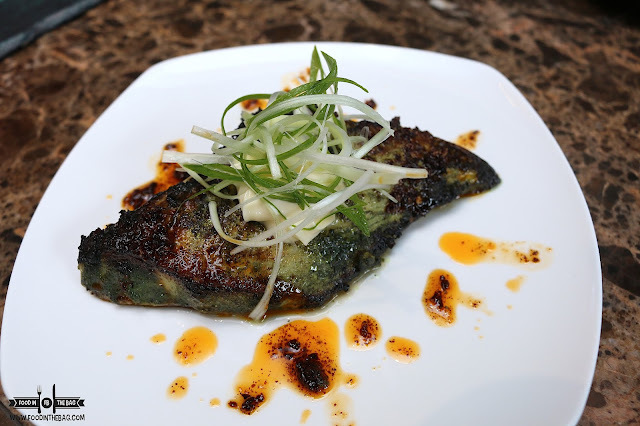 A sensational dish would be the Phyllo-crusted SALMON with Okra Frites, soy and sesame sauce and gari. The salmon was flaky and wonderfully seasoned. There was a sense of healthy vibe but one would wonder how it could such when it is so good. 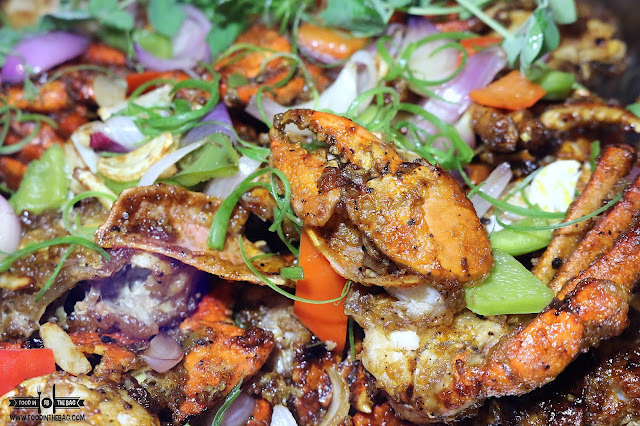 To finish things off, the BLACK PEPPER CRABS would be a delightful way to make your meal stand out. Although admittedly hard to remove each meat, the flavors are right there for the taking. Breakfast will be served at the all day dining buffet. 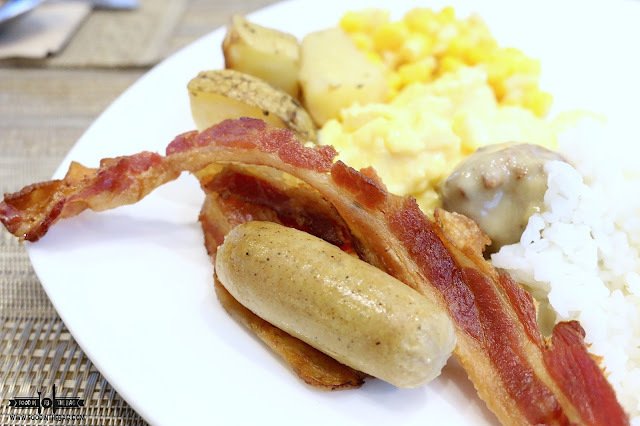 One thing that you must always go for would be the bacon! It's extremely crunchy and juicy. It's like everything that you would want is put into that single piece of meat. 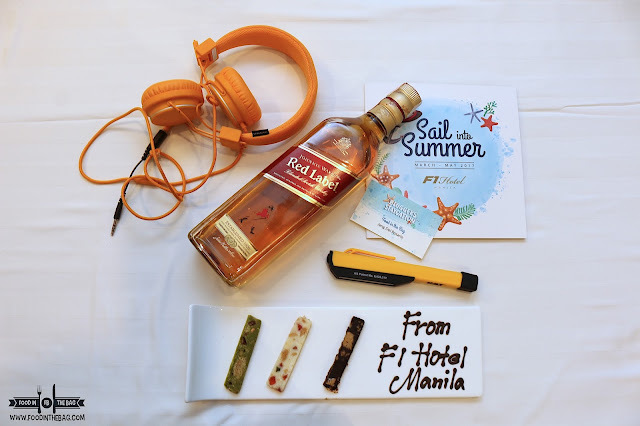 With the vacation season upon us, F1 Hotel Manila is the place to be at. 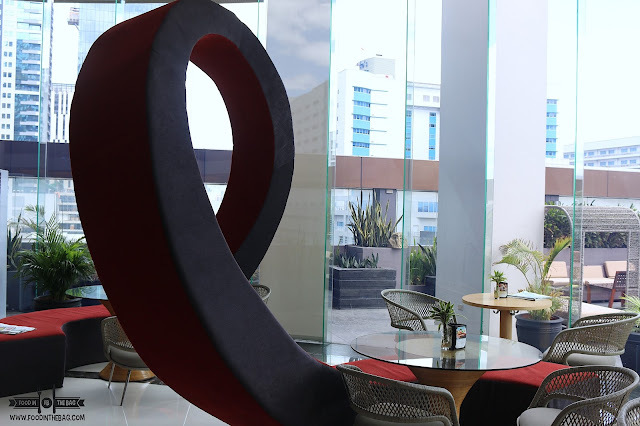 Perfect for a little rest and relaxation, this hotel is situated right smack in the middle of BGC. Different high end restaurants are all within walking distance as well. Can't wait to go back. Disclaimer: wrote this based on my experience. Was invited to stay at F1 Hotel Manila.